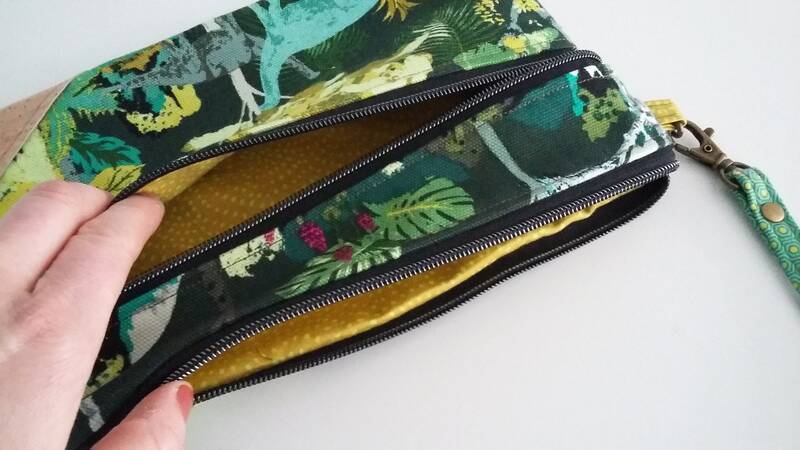 For the girl who loves dinosaurs! 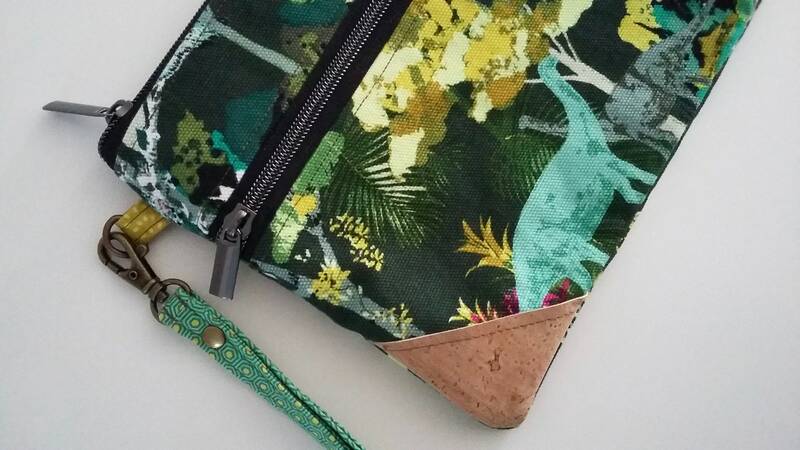 A flat style zipped clutch in soft canvas featuring roaming dinosaurs and luscious green vegetation from the Esoterra fabric collection by Katarina Roccella. The front of the clutch has two cork fabric decorative triangles at the base, a full width zipped pocket for storing small items and a top zip. I have used high quality zips with shiny gunmetal zip pulls. 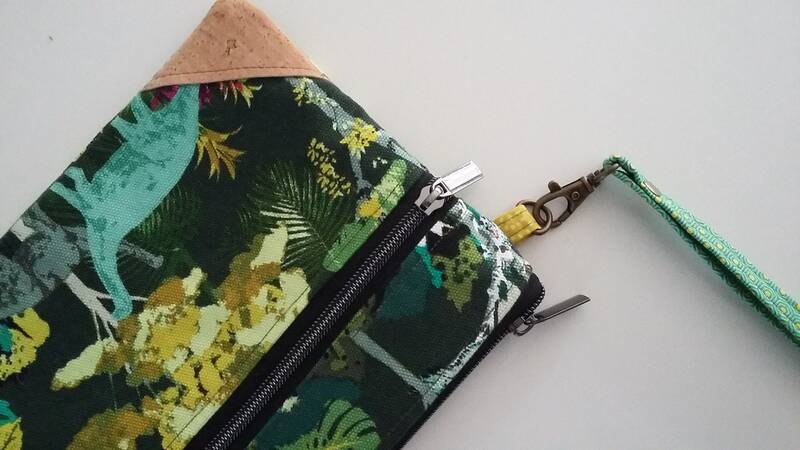 The clutch has a cotton detachable wristlet strap in green and yellow hexagons, attached to the bag with a bronze swivel snap hook and d-ring. 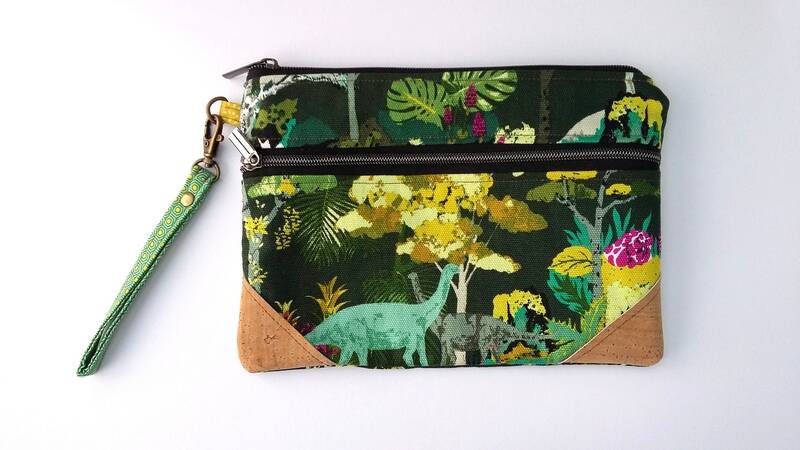 Lined in an apple green "Twist" fabric, the clutch has a further two small credit card sized slip pockets inside. 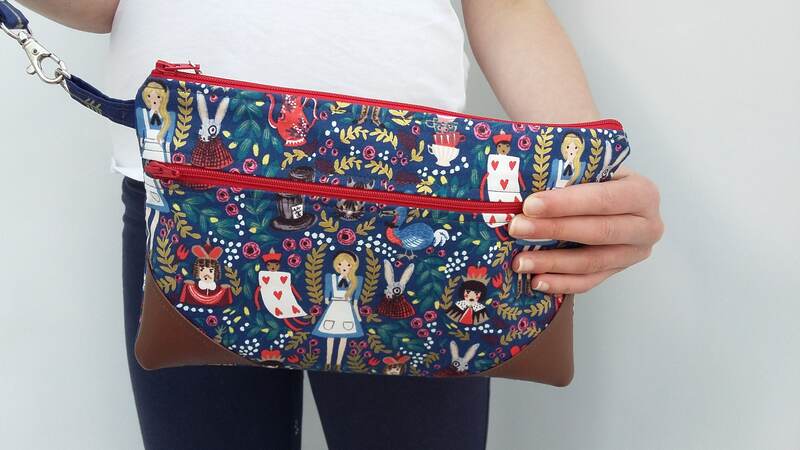 A sweet clutch bag for carrying the essentials on a day out or any special occasion...it can also double up as a travel wallet for your passports and other valuables or to carry a small gadget.